Remote on/off switching available for all models. 700W (750VA) model has optional remote control panel, DIP switches for 50/60Hz selection and Power Saving Mode to reduce no-load power consumption. AC output is via IEC-320 sockets (male plug included). Complete with 1.5m battery cables. 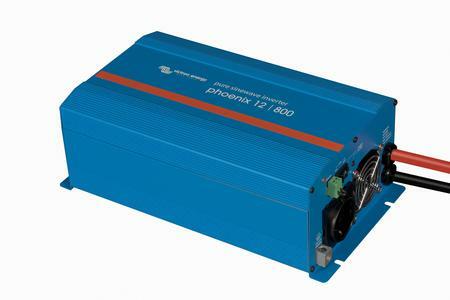 The new Victron Phoenix 24/800 inverter is an upgrade to the previous version. As standard, it now includes a number of additional features, such as the VE.Direct port, making it far easier to communicate with the inverter.